“It’s All Happening at the Zoo,” my review of Howard Jacobson’s Zoo Time, is this morning’s feature at Jewish Ideas Daily. I can’t claim credit for the title. It was the inspired choice of Suzanne Garment, my editor. Jacobson doesn’t share the attitude expressed by Paul Simon’s lyric; he is not a fan of animal symbolism, even when it’s carefree and unserious. (Especially then.) Not for him a little harmless anthropomorphism. For Jacobson, the morphism works the other way: “[I]t is not the animals who must check their satiric bona fides out with us, but we who must continuously put ourselves to school with them.” His monkeys do not “stand for honesty,” but exactly the reverse: they belong, he says, quoting D. H. Lawrence (a favorite source), “to the ages before brains were invented.” That’s why a comparison of men to monkeys is so apt. And no wonder Jews are so serious about humor. Not for them what Walker Percy calls angelism, the neurotic condition in which one yearns for deliverance from man’s animal nature. The Jews are forever aware of the fine line which divides them from the creatures that are not Jewish. Nothing calls Jewishness into question quite so much, and is quite so tempting. When a Christian invites a Jew to dinner, he is likely to ask the Jew’s position on pig. Jacobson was hilarious on the question in a speech last year at the Index on Censorship awards ceremony:In fact, the Book of Leviticus comes down as hard against lapwing, chameleon and tortoise as it does against pig, yet no one ever checks to see where I stand on chameleon. Only ever pig. Do people hear my name and automatically conjure up pig? Anybody would think I’m a banker.Eating pork has been done to death. Only a simpleton would think he could break with Judaism by gobbling something as commonplace as a BLT. But chameleon. . . . Now there’s disloyalty to Judaism. 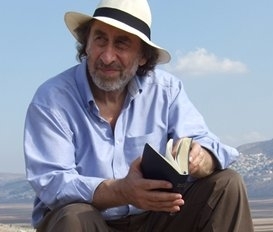 As I say in my Jewish Ideas Daily review, this intimacy with the deepest springs of Jewish feeling—deeper than anything to be found in Philip Roth, with whom he is routinely and doltishly compared—is what makes Howard Jacobson unique. Start with Zoo Time, if only to laugh at those who keep shouting about the death of books, and then double back on his three best novels: The Mighty Walzer, Kalooki Nights, and The Finkler Question. Don’t neglect his debut Coming from Behind, a sort of Jewish Lucky Jim, or my personal favorite The Very Model of a Man, narrated by Adam’s firstborn Cain. Oh, hell. Read anything by Jacobson you can get your hands on. You’ll never laugh the same again. I happened to read Zoo Time last week (I must have seen you mention it; I hardly ever read anything contemporary recommended by anyone else) and was completely blown away by how funny Jacobson is. Started The Might Walzer this morning and loving it. And at first I kept doing the Roth comparison, mentally, because he does it himself (or, rather, Guy Ableman does it), but the further I read the more I was thinking, "that's not quite right."